My name is Jemma Blackburn, and I have a secret. I know vampires are real. I watched one murder my father eight months ago, and even though they tried to convince me it didn’t happen—that I’d lost touch with reality due to the trauma, I know what I saw was real. Hollow Hills is now the place I call home. It was supposed to be my chance at a normal life. My chance to bury my secret and start over. But everyone around me is keeping their own secrets, whispering lies into my ears like promises, and one of them is about to turn my entire world upside down. I thought I had it all figured out. I thought I had the answers. I thought I knew who I was. The truth is, I didn’t even know the half of it. There's a reason these vampires are still after me. There's a reason they will always hunt me. Because I'm not human. I'm the devil they fear and the angel they crave. Only problem is, I don't know it yet. Holy wow, absolutely loved this book and with an ending like that, it makes you want to throw your book across the room. Inception is a thrilling young adult book of fantasy, coming into yourself and who you're meant o be, family, friendship, love, and the worst...dark betrayal. I have to admit, in the beginning of this book I cringed at some of the lines and thoughts said by our main character. It was a couple of "I'm going to cover my eyes in shame for you" moments. However, as I kept reading, this story got better and better and I became so engrossed that I couldn't put it down for a second. I have to admit most of the these characters I enjoyed, even the ones I loved to hate. 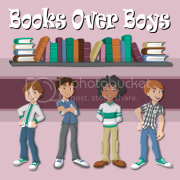 I admit I believe there's still a lot of secrets to uncover about many of our characters but hopefully they will unveil themselves in future books. Throughout the whole story I kept trying to figure out why It was called Inception. I had a heck of a time putting it into place that is until the very end. Everything I thought was Inception was just tiny pieces leading up to the one biggest inceptions that had me reeling with angst. 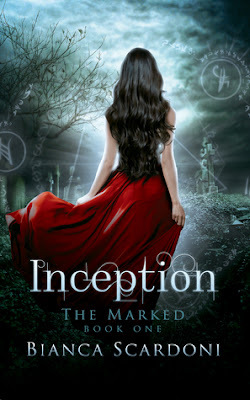 Inception was everything I hoped for, and with a cliffhanger ending like that (and by that I mean the soul-crushing, dream-stomping, mouth hitting the floor, wtf moment) I cannot wait to read the next book in the series! If you're considering giving this one a chance, definitely do!